I am unsure just how many posts of mine mention legendary writer/director Billy Wilder, but here is another to add to the stack. The man made a ton of good films and there is no reason not to mention each one. Very few filmmakers can touch him when it comes to the number of classics he produced. He crafted stories with the care, precision, and elegant simplicity of a Shaker woodworker. His film Ace in the Hole is a great example of this. 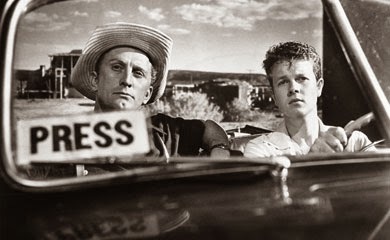 Released in 1951, Ace in the Hole, starring Kirk Douglas, is the story of down-on-his-luck, former New York newspaper reporter, Chuck Tatum, who takes a job on a small paper in Albuquerque, New Mexico, while he waits for that big story that will put him back in the big leagues—back on a big New York paper. And when the right story does come his way, this unscrupulous reporter isn’t above manipulating the situation to make sure it gets lots of attention from the New York papers—even if this means putting a man’s life in jeopardy. Wilder was a master storyteller and did many things well, but one of the things he did exceptionally well was construct a first act. This is now almost a lost art, but a great first act can make or break a story—it is a story’s foundation. It is the bedrock upon which one builds a solid structure. Ace in the Hole has an amazing first act. When we meet Chuck Tatum he is reading a newspaper while sitting in the driver’s seat of his car, which is being towed: a very nice opening image that tells us something about the character and his situation. It already doesn’t look like this guy is living the good life. TATUM: I’d like to see the boss—what did you say his name is? YOUNG MAN: I didn’t say. YOUNG MAN: Mister Boot is the owner and publisher. TATUM: Okay, tell Mister Boot that Mister Tatum would like to see him. Charles Tatum from New York. YOUNG MAN: What did you say you were selling? Insurance? This exchange matters. Why? Because this young man (Herbie) becomes Tatum’s protégée. During the course of the story, that young man grows to idolize Tatum. And, here, in this very first exchange you can see that dynamic at work—the young man takes on aspects of Tatum’s personality right away. This is a brilliant little exchange that sets up what is to come. We find out that is something Mister Booth says. He runs an ethical, honest newspaper. TATUM: I can handle big news and little news. And if there’s no news—I’ll go out and bite a dog. This line matters. He is saying that if there is no news he will make the news, which is just what he later does. His character is being established here. None of this clever dialogue was written to be snappy patter without a purpose. It all matters. Tatum offers to cut his rate in order to work for Booth, and Booth wants to know why. TATUM: I’ve done a lot of lying in my time. I’ve lied to men who wear belts. I’ve lied to men who wear suspenders. But I’d never be so stupid as to lie to a man who wears both belt and suspenders. You strike me as a conscientious man, a man who checks and double-checks. Tatum then goes on to list all of his drinking and philandering, as well as a libel suit, that got him fired from the big papers. Tatum lands the job. But Booth tells him there is to be no drinking on the premises. The film then jumps in time to a year later and when we first see Tatum we see he is wearing both a belt and suspenders. He has conformed, so far, to Booth’s way of doing things. It is clear, however, that Tatum is unhappy here. He paces the floor of the newsroom, ranting about the boredom of this little town. This is not New York. Even the news is boring here. His big story has not come and he is restless. Then Tatum is sent out on an assailment to cover a rattlesnake hunt in a neighboring county. Herbie is to go with him to take pictures. Tatum is not excited about the assignment. TATUM: Where’s the last rattler? In a kindergarten? In a church? In a crowded elevator? Where? HERBIE: I give up, where? TATUM: In my desk drawer, fan. Stashed away only nobody knows it, see. The story’s good for another three days, and when I’m good and ready we come out with a big extra—Sun-Bulletin snags number fifty. TATUM: Me, I didn’t go to any college, but I know what makes a good story. Because before I ever worked on a paper I sold them on a street corner. You know the first thing I found out? Bad news sells best. Because good news is no news. Again, nothing is wasted Wilder tells us just who Tatum is. He is a guy who will do whatever it takes to get a good story even if that means not being completely honest. 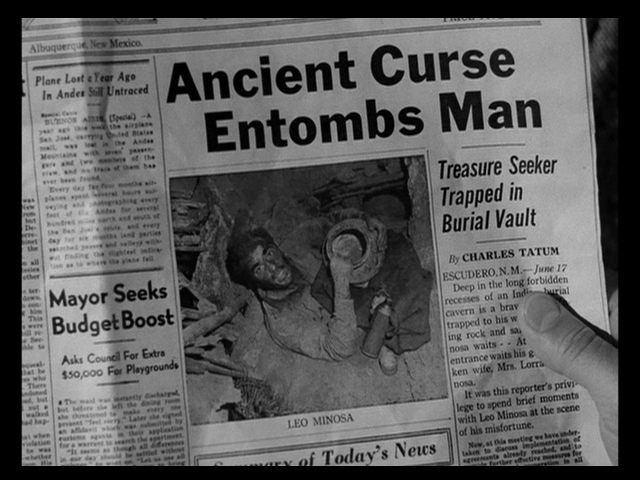 When Tatum and Herbie pull into a gas station they discover that there is a man trapped in a cave-in. The man was in the cave dwellings looking for old Native American pottery when the cave collapsed, trapping him. Because of the danger, no one will enter the cave to check on the trapped man. And the Native Americans won’t enter because this is sacred land to them—The Mountain of the Seven Vultures. They believe that the cave-in was caused by their ancestors. Tatum figures that this could be the break he’s been looking for, and enters the cave with Herbie to check on the man. It is made clear through what Tatum says to Herbie that Tatum does not care about the man at all, this is just a means to an end—this is Tatum’s change to get back on top. Tatum wishes out loud that it will take a least a week to get the man out of the cave, that way he could milk the story. Herbie, is again taken aback by Tatum’s callous attitude. TATUM: I’m not wishing for anything. I don’t make things happen, I just write about them. When Tatum emerges from the cave he knows he’s got his story. And then comes Act Two, when we see how he finds ways to keep the man in the cave longer while appearing to lead a rescue effort. It is a flawless first act that sets up everything that is to come. Tatum is also able to get others to help with his scheme: the man’s wife, the crooked sheriff, and the drilling engineer. Herbie knows nothing about the manipulation, but does like being part of a major news story. 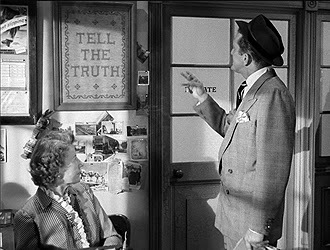 There is also an insurance salesman and his wife, who start off as the spectators in what becomes a media circus. These people are all getting something from exploiting the fact that a man is trapped in a cave. Tatum, the sheriff, the engineer, the wife, Herbie, and the couple—that’s seven people. Seven vultures. Wilder does everything for a reason. Doing so helped him become one of the most celebrated directors in the history of the movies. There is a point in the film when Tatum has given over completely to the dark side, so to speak, where he removes his belt and suspenders and starts drinking again. He’s no longer Booth’s kind of reporter. 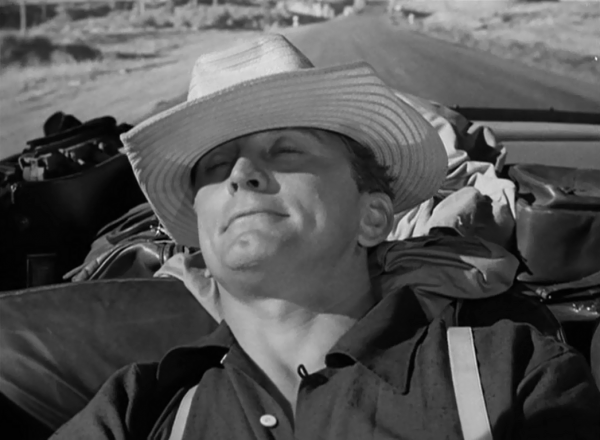 I won’t tell you what else happens in the film, but if you like to see a master at work you should take a look at Billy Wilder’s Ace in the Hole. I've been meaning to watch this for years, it's pretty hard to get hold of. I really want to see it now! Love your books by the way. Thanks for your blog post I love to read and enjoy your blog post I love to watch and read historical romance and drama. So last weak I Watch Mary Queen of Scots 2018 Online trailer. I think you should check the trailer. It sounds amazing story I really enjoyed the movie review and decided to watch movie. As a big fan of comedy movies. I Watch Under the Silver Lake 2018 Online movie trailer. Which is also interesting you should check out.